Orchids are touchy flowers that require a specific set of growing requirements, which varies between species. The brightly colored flowers are produced only by of orchids that get the proper care and attention. After an orchid finishes flowering, however, a gardener might be at a loss as to how to make sure there are return blooms. 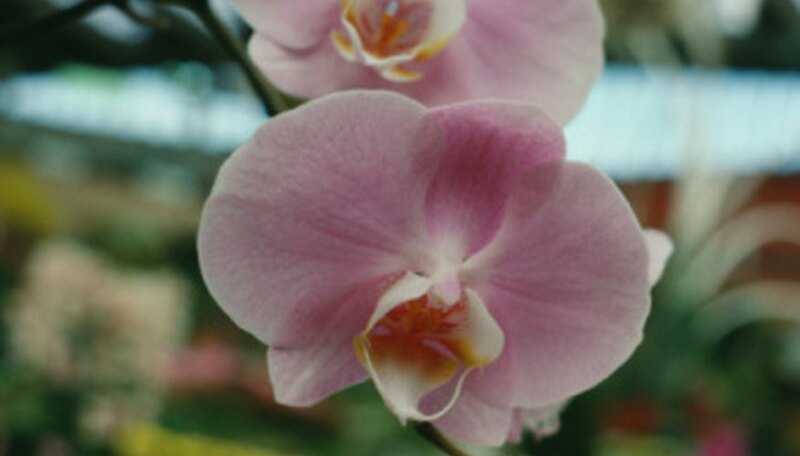 Few orchids will produce new growth and blooms on the same stem; the phalaenopsis will, according to Burnham Nurseries. Others include the papilio orchid. These orchids branch out after the bloom drops and produce new blooms on the same stem. Trim the stem back to a point just above a bud, which allows the orchid to continue growing from that point and produce another bloom within the same growing season. Species of orchid that do not put out new growth on an old stem require pruning, or else the orchid has more difficulty putting out flowers the following season. Allow the stem to dry out; the roots take in the nutrients from the stem for the dormant period, which keeps the roots healthy. Trim the stem back to the level of the soil in the orchid's planter to keep the orchid healthy and prevent the growth of fungi during the dormant season. Waiting until after the orchid finishes blooming to repot reduces the stress placed on the plant. The Orchid Web website recommends repotting orchids once every year to two years to keep them healthy and allow for continued growth. Fill a new planter with the appropriate growth medium for the specific orchid and transplant the roots and any remaining portion of the stem to the new planter. Supply the orchid with fertilizer and water during its dormant period. Expect the orchid to go dormant for several months after the blooms have dropped. Phalaenopsis orchids don't enter a true dormant phase, and instead experience slowed growth, but most other types of orchids cease producing new growth after they blossom. Keep the orchids in a dry, partially shaded area that will not drop below freezing temperatures. Water and fertilize the dormant orchid regularly to keep the roots healthy and fed even when the plant is dormant.